After CPH:DOX, PUSH will travel to Toronto and have its official North American premiere at Hot Docs. Come say hello to the film’s producer Margarete Jangård and the film’s director Fredrik Gertten, as well as Leilani Farha. We are proud to announce that we have partnered up with New Media Advocacy Project (NMAP) to launch an impact campaign for PUSH in New York City. 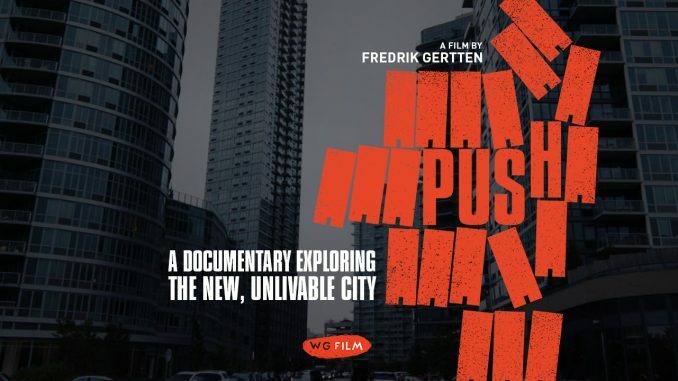 New York is one of the biggest cities affected by the housing crisis, so the impact campaign will focus on using the film as a tool to start a conversation between the citizens and those in power, in order to make change. Now that PUSH is released, we have gotten so much attention and love from near and far, so if you want to be in the loop on what’s happening with the film, don’t forget to follow our social media channels below! – Patrick Butler, editor of society, health and education policy for The Guardian. – Maria Lúcia de Pontes, Brazilian lawyer, public defender and activist.